Best Blackberry Handset Mobile Review,: The BlackBerry Is 99 Percent Dead, Here’s the one thing that could maybe, possibly save it. The BlackBerry Is 99 Percent Dead, Here’s the one thing that could maybe, possibly save it. Research in Motion has been dying for so long that it feels cruel to dwell on its turn for the worse. But the earnings report that the company put out last week was so disastrous—so much more terrible than anyone expected—that it now looks like RIM has passed the point of no return. Shipments of BlackBerry smartphones declined by 41 percent since last year, RIM said. Wall Street analysts had been expecting the company to break even during the quarter; instead, it lost half a billion dollars. Even worse, the company says its first phone based on BlackBerry 10—the new operating system on which RIM is pinning its future—will be delayed until 2013, meaning the company will lose out on holiday sales. 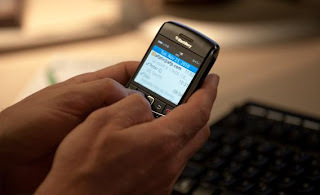 Can anything save RIM now? The smart money says no. RIM’s original sin was its decision to create technology that satisfied corporate IT departments rather than regular people. That worked well a decade ago, when we thought of smartphones as devices to help us work better. But people now choose phones for fun as much as for work, and IT departments look to employees to decide which phones to support. The shift caught RIM by surprise, and it has been trying to build killer “consumer” phones ever since the iPhone became a blockbuster. Over the last few years, the company has attempted to refresh its software and put out phones that lacked its signature physical keyboard. It’s also now building an app store that it says rivals those of other platforms. None of this is working, and it’s obvious why. The BlackBerry’s impending death is a turn-off: If you’re in the market for a new phone, you’d be wise to dismiss the BlackBerry even if you think it’s a better device, because your phone won’t work very well without support from a thriving company. This is true for developers and telecom companies, too: Why create apps and make room on the network for a phone whose future looks bleak? That’s why, as Horace Dediu at Asymco points out, mobile companies’ losses tend to accelerate over time. They never recover. So if you’re betting that RIM’s toast, you’re probably right. But since we’re approaching toast times anyway, I think RIM should try something radical. If it has any hope for survival, it has to abandon its own operating system. It’s too late now—and it will be way too late in 2013—for any brand-new OS to challenge Apple and Google’s mobile hegemony. Instead, RIM should focus solely on preserving its future as a maker of innovative mobile hardware—a company that builds interesting devices using other people’s software. But whose software? There are two choices. RIM could make phones and tablets that use either Google’s Android or Microsoft’s Windows. Android is a juggernaut, the most popular smartphone platform in the world. Windows Phone, meanwhile, is a struggling upstart whose future looks uncertain. That’s why I think RIM should go with Windows. Last fall, I called the refurbished Windows Phone the best-designed mobile operating system on the market. I think Microsoft’s next version, slated for the fall, will be even better. Compared to Android, Windows Phone is easier for novices to learn to use, lets you get important things done in fewer steps, and is more pleasing to look at and use. It’s true that there are far fewer apps for Windows than there are for Android and the iOS, but there’s certainly no dearth of good apps. Most people will find the Windows app store well-stocked for their needs. For RIM, Windows would offer several advantages over Android. For one thing, the world is drowning in Android phones—it has become the platform of choice for every low-end phone maker, and while there are some good Android phones on the market, the vast majority are cheap and terrible. Even if it made an amazing Android phone, RIM would have trouble standing apart from the Android scrap heap. What’s more, Android devices continue to be plagued by patent issues (which, given its history, RIM sure needs to avoid), and the OS’s free, ad-supported business model seems quite dodgy. There is a precedent for a dying mobile company pinning its hopes on Windows—that’s what Nokia is doing, and that plan doesn’t seem to be working very well. Last year, the Finnish phone giant chose to ditch its own OS, and it has since launched a slate of fine Windows devices. None has been a blockbuster. Why do I think RIM would fare any better with Windows? Well, Nokia and RIM might help each other. I know this sounds funny—if Windows can attract two once-legendary failing mobile companies to its platform, then surely people will pay attention! But I think it might be true. Both BlackBerry and Nokia still command some brand loyalty. Hundreds of millions of people have owned and loved their devices, and many of us would be happy to give them another chance to wow us. If they’re both making great Windows devices—and if Microsoft, too, is making its own Windows tablets and, who knows, maybe its own phones—perhaps their combined efforts will spark renewed consumer and developer interest in the platform. Yes, it’s a long shot for all of them. But long shots are the only think RIM—and Nokia—have left. Out of all the treacherous paths before it, going with Windows might be RIM’s last, best hope.